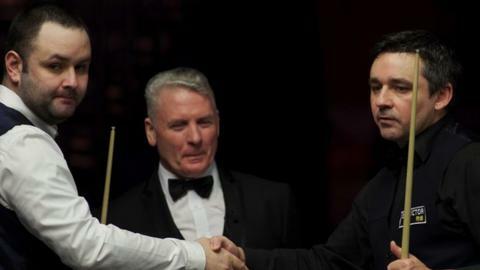 Stephen Maguire will face Alan McManus in an all-Scottish first-round clash at snooker's World Championship. Fellow Scot John Higgins will take on Ryan Day; Graeme Dott has been drawn against Mark Williams and Anthony McGill meets Shaun Murphy. Defending champion Stuart Bingham vies with two-time runner-up Ali Carter for a place in the second round. Five-time champion Ronnie O'Sullivan faces Dave Gilbert and world number one Mark Selby plays Robert Milkins.